Less than 2 weeks remain to our RG65 open which takes place on 23rd July. This event forms part of both the RG65 2016 Travellers Series and the Dragonforce Northern District Summer Series 2016. Briefing at 10.15 with no race to start after 16.15. Tea and coffee will be available throughout the day but the galley will not be serving food. Our second “all in day” of the season will be on Saturday 21st May. Some of our top skippers have promised to be there to organise the day and offer both race training and tuning advice. They will obviously have more time to spare than on a normal race day, so this is a great opportunity to take advantage of. The day is open to anyone, and visiting members from other clubs are welcome. A cool morning greeted skippers from across the UK as they arrived for Round 2 of the RG65 class traveller’s series with a swirling wind across the lake providing some pre-race angst in the car park. Fortunately by the time of race one the predicted NNW wind funnelled down the lake, albeit with a few light patches to get things underway. For the 26 boats of varying design, including a good contingent of Dragons A rigs were chosen for the 2 seeding races with Ken Binks first to post a win in race one and Brad Gibson following suit in seeding 2. With fleets now sorted, the racing proper got under way where the front runners of Gibson, Binks, Dave Potter, Noel Donaldson and Mark Dicks enjoyed some hard fought races. Just off the front group there were some great tussles between skippers looking to consistently avoid the ‘drop to B bubble’. As the day progressed the wind straightened and strengthened further allowing PRO Bill Culshaw to square up the course for some fast paced racing with these small yet nimble well tuned yachts showing just what they are capable of at the top of the A & B rig ranges. When our 4.15pm finish came around, a full 10 races of 2 heats had been completed without protest or problem skippers retired to the Birkenhead clubhouse to reflect on a great days racing where all agreed more of the same would be most welcome. As for the scores, it was Brad Gibson who went on to record a strong win, from the fast and ever improving Dave Potter, with Phil Holliday edging out Noel Donaldson for the final podium place. Skippers roundly thanked the Birkenhead race team of Bill Culshaw, Judith Baldwin, Victoria Gibson, Martin Roberts and Jack Turner for a great days racing. Entry lists for the RG65 Open, IOM Veterans Nationals and the IOM Nationals have all been updated. If you have entered any of these and your name is missing, please contact the Sailing Secretary to confirm the details. If you haven’t already confirmed and paid for your entry for the IOM Nationals, your time is running out. We have 82 entries, 74 of those confirmed (paid). Entry is restricted to 84 boats and will opened up to overseas entrants if any places remain at the end of this month. Early entry for the RG65 Open and the IOM Veterans would be appreciated so we know the numbers to organise for in advance. 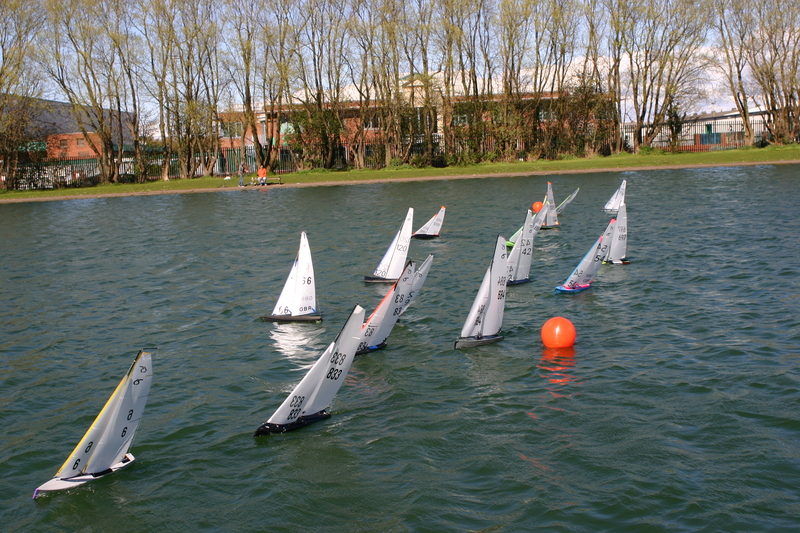 Online entry is now available on the MYA Website for our RG65 open meeting on Saturday 16th April. With our own fleet of 15+ Dragonforces this is sure to be a popular event and club members are advised to get their entries in as soon as possible. Briefing is at 10:15, first race 10:30 prompt. No race to start after 16:15. Entry fee £4 payable on the day.